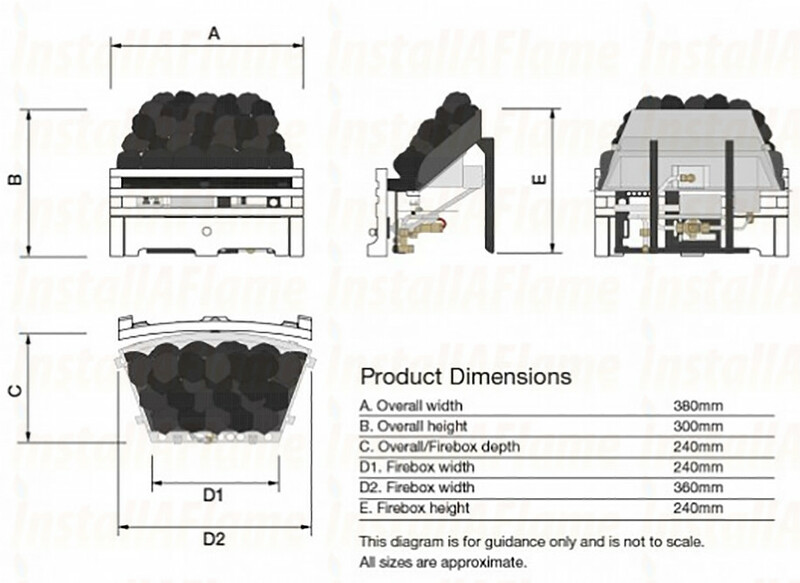 Air Vent Required not required. 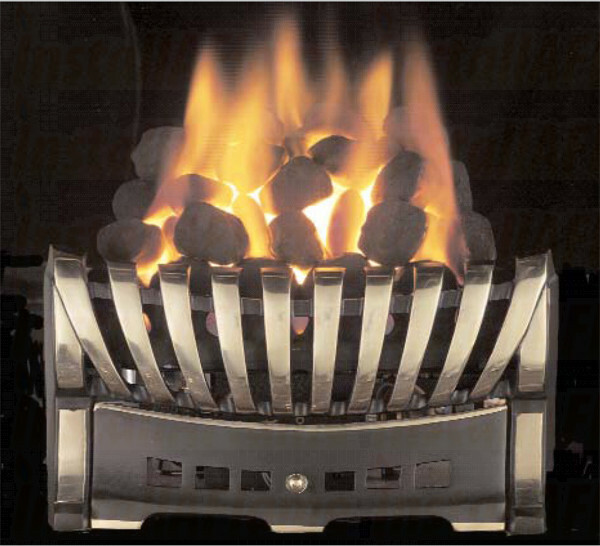 This tapered inset gas fire has been purpose designed for installation into existing suitable castings, cast-backs, ceramic-backs and solid fuel grates or where a clay or fondue chair brick is already in place. 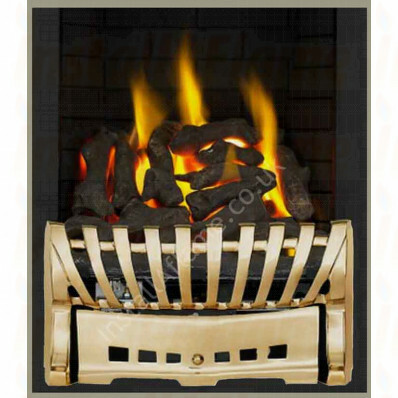 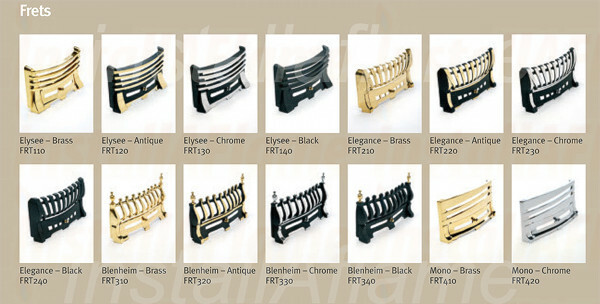 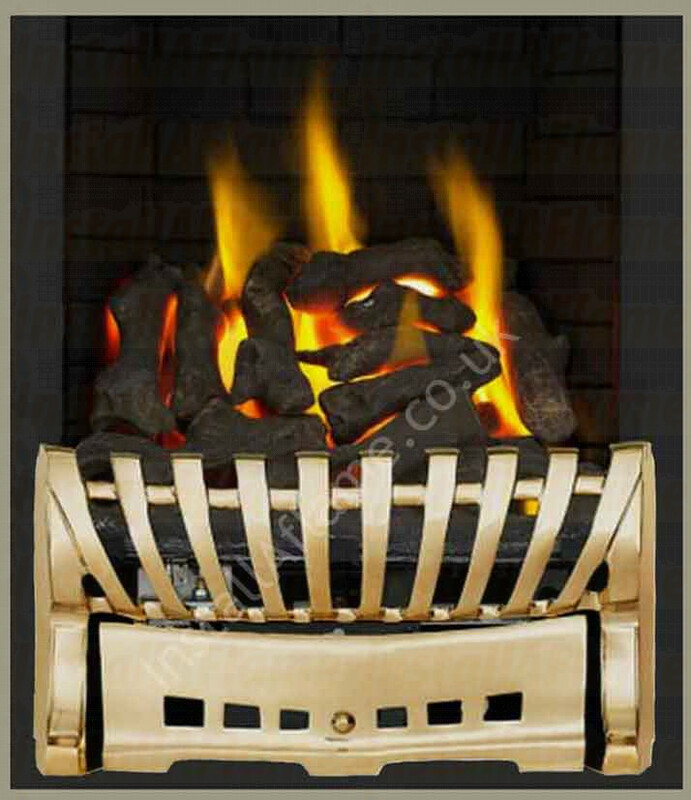 An ideal replacement for your solid fuel fire, whilst being able to maintain the visual effect. 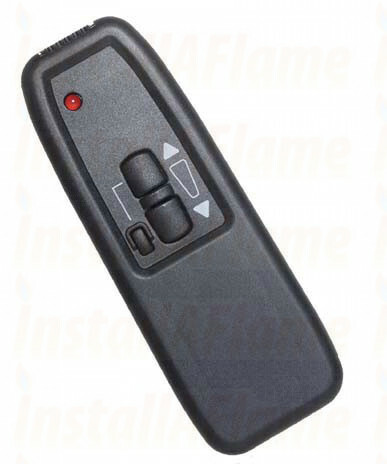 The optional mains-free Ultrasonic remote control allows you to adjust the flame height from the comfort of your armchair.